…but the labels only appear on the actual points in the chart. 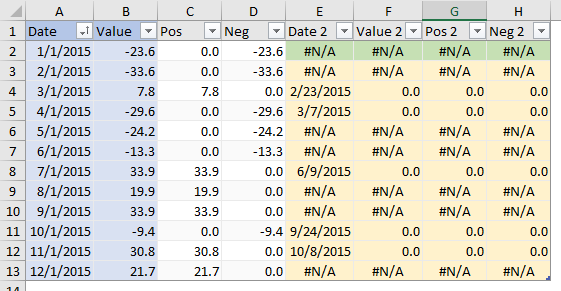 There’s no way to make Excel apply labels with the totals. 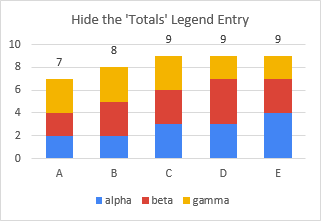 …and hide the legend entry for the Totals series. 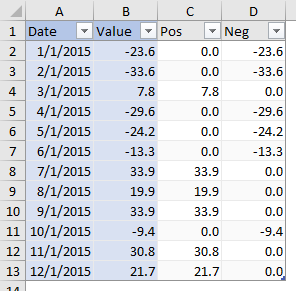 Note: The routine does not add a column in the worksheet for the totals. 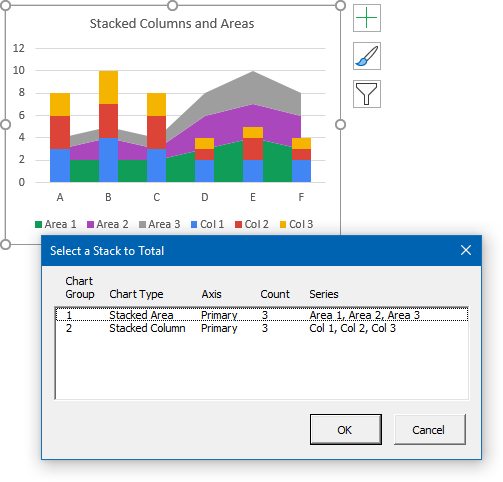 Instead, it adds the data in VBA, creating an array of totals, then uses this array rather than a worksheet range to populate series it adds to the chart. 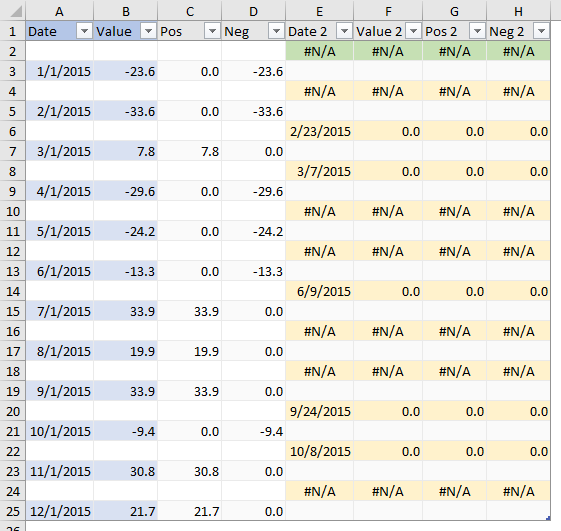 This makes it a bit cleaner, and it’s easier than figuring out where in the sheet to put the totals. 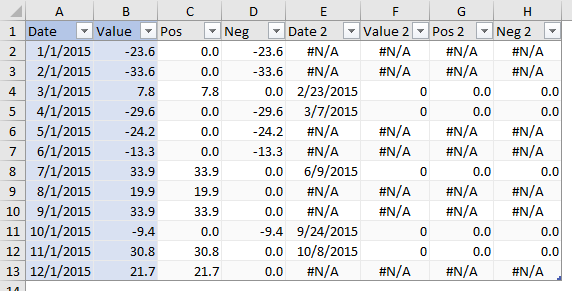 However, it’s also not dynamic, so if the values change, the labeled totals will no longer be correct. With minor adjustments, this code will work for stacked column, area, and line charts. 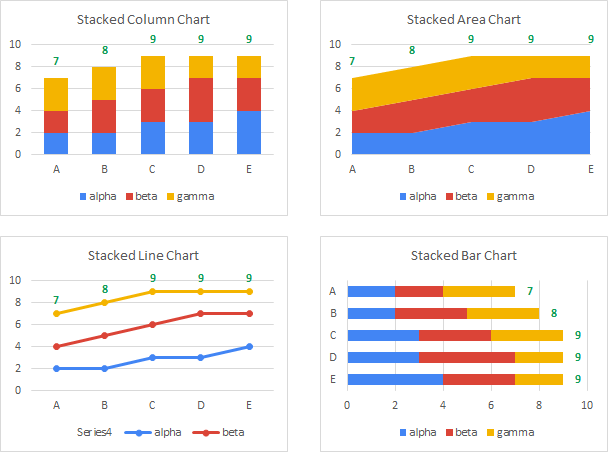 With major adjustments, it will also work for stacked bar charts. Note: you should probably avoid stacked line charts. 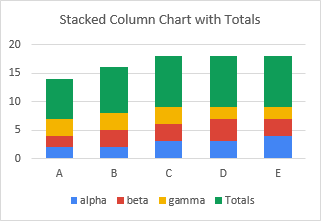 It is visually obvious when column or area charts are stacked, but not so for line charts. 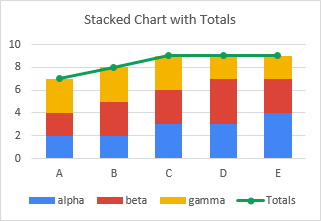 Often, people used stacked line charts when they didn’t mean to, when they didn’t even realize such an option was possible. I’ve modified the above bit of code so it will work on any of the stacked chart types, including stacked bars. I’ve added a custom ribbon button. 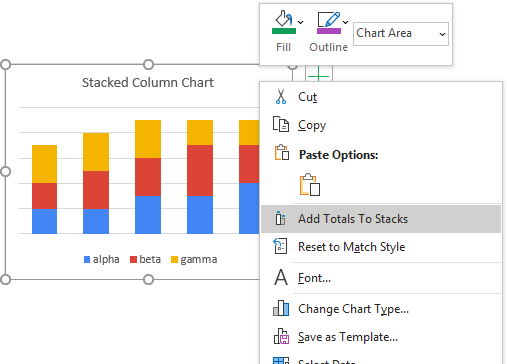 I’ve added a button on the chart’s context (right-click) menu. I’ve added the ability to select which set of stacked data to label, if the chart contains more than one set. 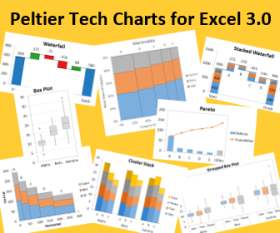 You can download the add-in from this link: StackedChartTotalsLabeler.zip. 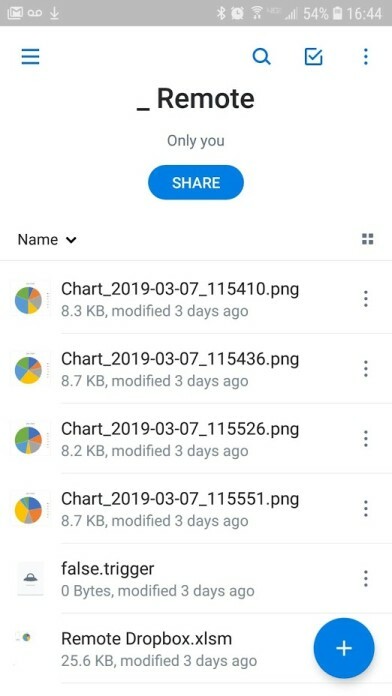 The add-in is packaged in a zip file. Save the file on your computer, then unzip and install the file following instructions in Install an Excel Add-In. Posted: Thursday, February 28th, 2019 under Data Labels. In days of old, when you tried to send feedback to Microsoft on any of their products, your message went into the great bit bucket in the sky. And that’s even if you figured out where to send it. 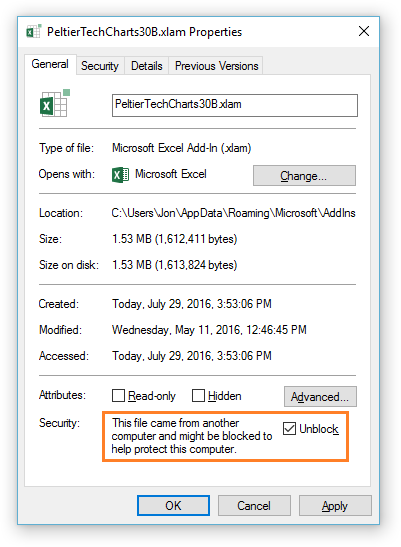 But now, if you want to complain, Microsoft has built a mechanism right into their software. And let’s face it, you do want to complain, since most feedback that anyone ever bothers to give is negative, right? 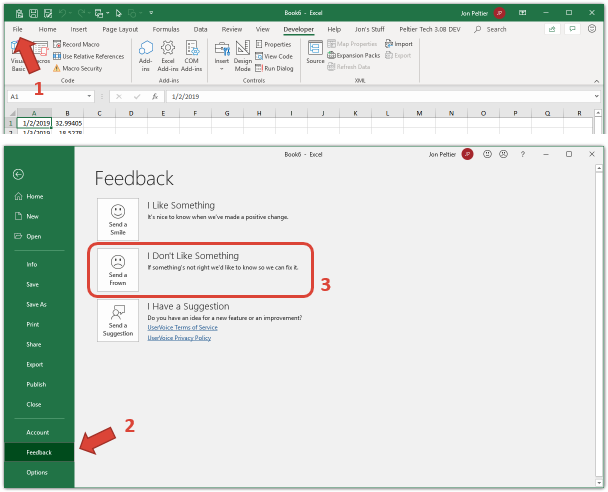 There are a couple ways to access the feedback feature in Microsoft Office. These have evolved over the past couple years, and I think it’s easier than ever. You can click on the File tab (#1 below), then choose Feedback in the list along the left (#2), and finally click the frownie icon next to “I Don’t Like Something” (#3). If you have an older version of Office, it still might say “Send a Frown”. 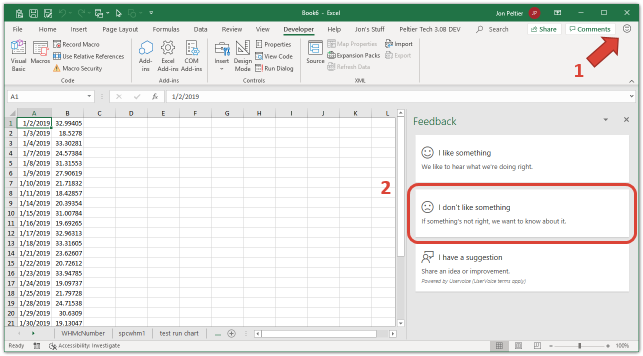 “I Don’t Like Something” in the task pane (#2). 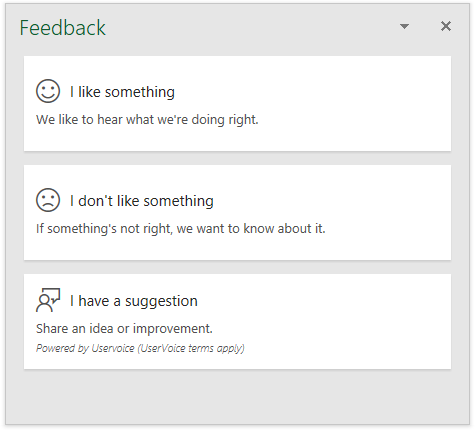 In addition to sending a frown, you could also send a smile (“I like something”) or write up a suggestion on UserVoice, Microsoft’s suggestion box. 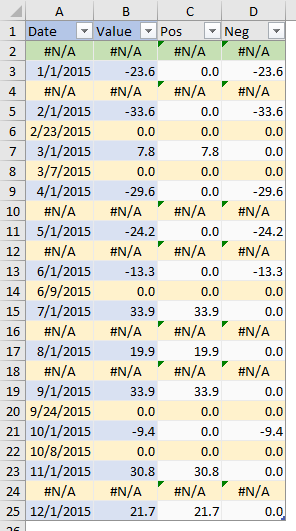 I’d say frowns are 97 percent of my feedback, with frowns and suggestions making up about 2% and 1% respectively. 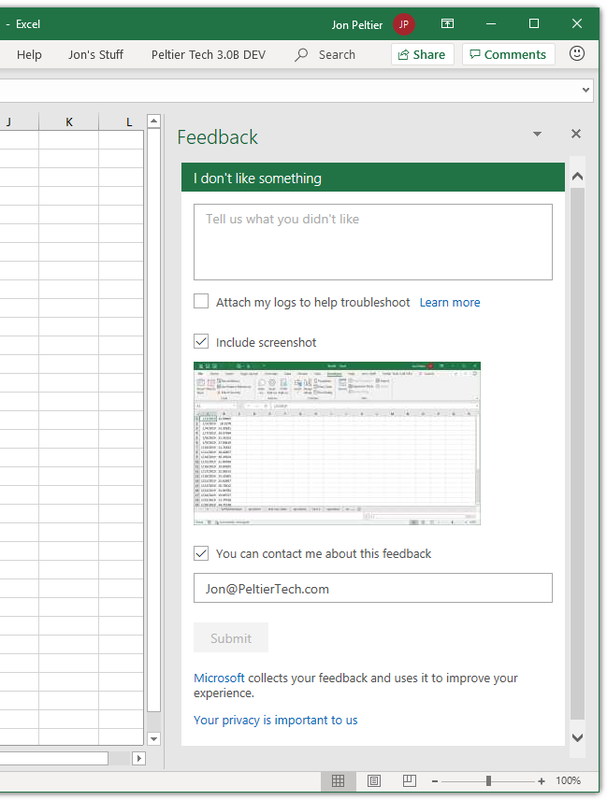 However you got this far, now you see the Feedback task pane which has a detailed form for you to fill out. 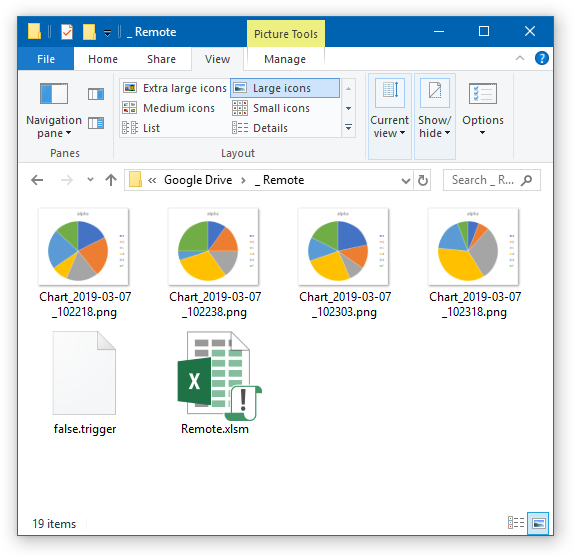 Older versions of Office have a dialog instead of the task pane. Give a detailed description of what has just annoyed you enough to click on a frownie icon. Details are good. 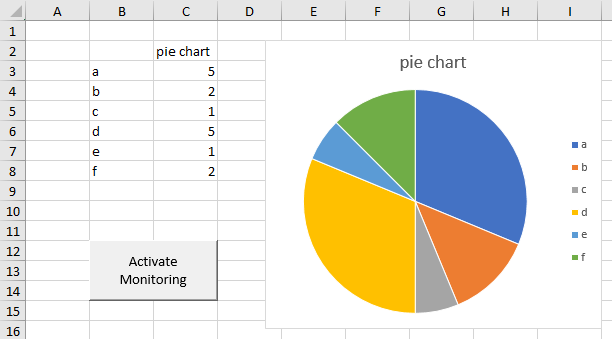 I always check the screenshot box, and if the screenshot is not enough, I will add to the Excel window. 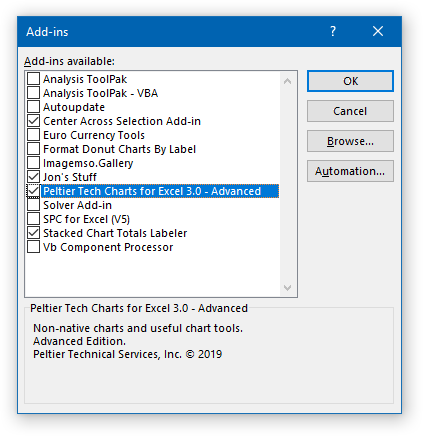 Sometimes I paste an actual screenshot I’ve taken of an error message or dialog box right in the worksheet, or I add a textbox with a few lines of VBA code that is broken, or I may put before and after (or good and bad) charts side by side. I always check the “attach my logs” box, because the logs may include some information that will help fix the problem. They don’t collect any personal information. I always check the “you can contact me” box with my email address. Usually I also put my name and “Excel MVP” in the description field so they might be more inclined to contact me. And in fact, I have heard back from Microsoft because of frowns I’ve sent. 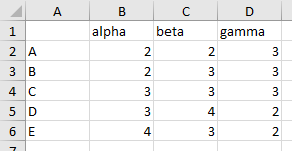 Usually if something doesn’t work, I can figure out a workaround, or loop a few extra times in VBA until something that’s supposed to happen finally happens. But it’s useful for Microsoft to know what things aren’t working as expected. 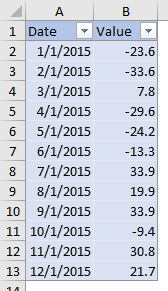 I have started asking my clients to submit frowns when something goes wrong in their projects. And if something changes that you like, it wouldn’t hurt you to send a smile their way. 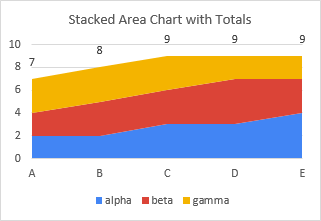 Posted: Monday, February 25th, 2019 under Feedback.